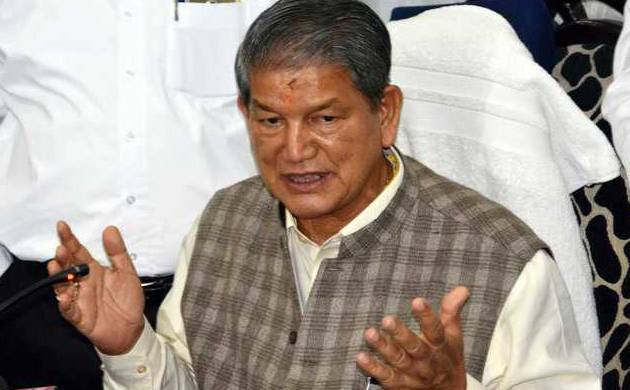 Reinstated Harish Rawat-led Uttarakhand government today gave an assurance in the Supreme Court that it will not evict nine disqualified Congress MLAs from official homes provided to them. Reinstated Harish Rawat-led Uttarakhand government today gave an assurance in the Supreme Court that it will not evict nine disqualified Congress MLAs from official homes provided to them. The apex court, which also took on record the May 11 Gazette notification of the Centre revoking President’s rule in the hill state, recorded the statement made on behalf of state Parliamentary Affair Minister Indira Hridayesh that the rebels will not be evicted from their official houses. A bench of Justices Dipak Misra and Shiva Kirti Singh also asked senior advocate Rajeev Dhavan, appearing for Hridayesh, that “no facilities in the accommodations will be taken away” and posted the plea of disqualified rebels for further hearing on July 12. Rebel MLAs including Subodh Uniyal and Umesh Sharma, represented by senior advocate C A Sundaram, said that they be not evicted from their official residences till their pleas against disqualification are decided. They also agreed to the suggestion of the bench that they will not take their salary. At the outset, Additional Solicitor General Tushar Mehta, appearing for the Centre, submitted the copy of the Gazette notification, revoking the President’s rule in the state. The bench, which has kept pending the plea of Centre that it rightly invoked the President’s rule, then fixed the petition for further hearing on July 12. The bench, meanwhile, issued notice on a separate appeal of rebel Congress MLA Shaila Rani Rawat that she was wrongly disqualified by the Speaker after imposition of President’s rule. She has filed plea through lawyer M L Sharma. Rawat was reinstated as Chief Minister after the Supreme Court put its stamp of approval on the floor test in the Assembly. “Rawat gets 33 votes out of 61 in the floor test. No irregularities were found in the voting. 9 MLAs could not vote due to their disqualification,” the apex court had said.